There goes the Affordable Care Act again. In 2010, I wrote that ObamaCare is the worst legislation in 75 years. Everything in that article has come true. 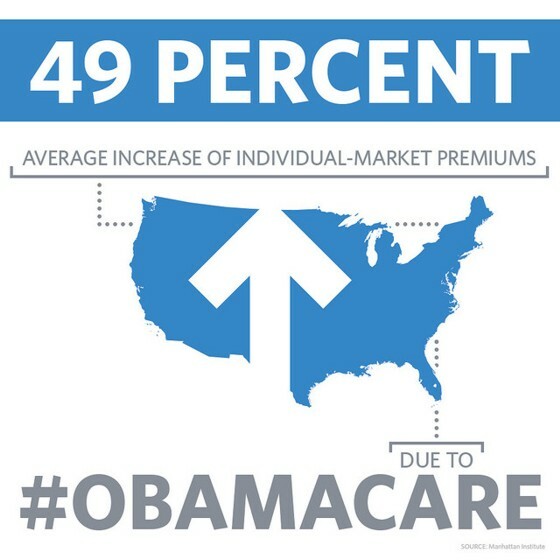 Toward the end of 2011, I wrote about my health care insurance premiums rising by 24.6%. Toward the end of 2012, I did not write about my rising health care insurance premiums (although they were extensive) because I was busy writing about the average $119,878 additional taxes that the most productive would owe annually in future years because of the legislation. Toward the end of 2013, I wrote about my health care insurance premiums rising by 76% and losing the ability to pay with pre-tax dollars making it an additional 25% more expensive. I also wrote about how the ruse of healthcare was used to justify massively higher taxes. Toward the end of 2014, I wrote about experiencing a 51.5% hike and my co-author experiencing a 22.2% hike in insurance premiums. President Obama promised, “This law will cut costs and make coverage more affordable for families and small businesses.” He was either lying or laughably mistaken. The third-party payer system drives up the price of health care. Now, the Affordable Care Act has driven up the cost of the third-party payer system. Now toward the end of 2015, my monthly premium are rising by an additional 24.6%. Unfortunately for the country, utopian centralized planners now represent a large portion of the electorate. And the way the media is handling this election cycle, it is difficult to find any coverage other than partisan rooting for a particular party like voting is a sporting event. Bad legislation could and should be repealed. It can be done. We have even repealed an Amendment to the Constitution of the United States. 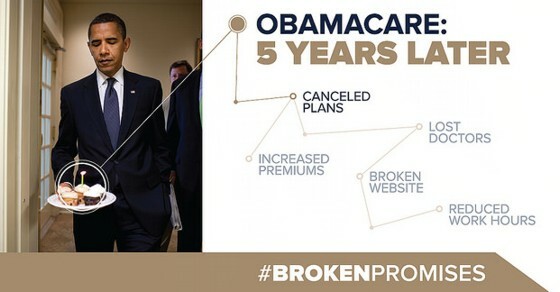 ObamaCare was always going to be a bad law and now, five years in, that should be clear to everybody. Photo and Photo by House GOP used here under Flickr Creative Commons.